To join the BRHS please complete our membership application and submit a payment of dues. You may pay dues in many ways. Use either your credit card, debit card or PayPal, or via snail mail with a check or money order. Becoming a member of the BRHS is a great way to support the efforts of the society, and you benefit as well. Please note: Members outside the United States are assessed a postage surcharge. Yearly memberships begin on the first day of the current quarter, when dues are received during the first two months of that quarter. Otherwise, membership begins on the first day of the following quarter. Quarters begin January 1, April 1, July 1 and October 1. The BRHS has an online official mailing list which is open to members only. It is only for official Society events & discussion, any general discussion & questions about the Chicago, Burlington & Quincy, Colorado & Southern, and Fort Worth & Denver railroads should be directed to the following CB&Q list (see below). The CBQ mailing list is open for anyone interested in the CB&Q - ex-Burlington Route employees, historians, railfans and railroad modelers of the CB&Q, C&S and FW&D railroads & predecessors. 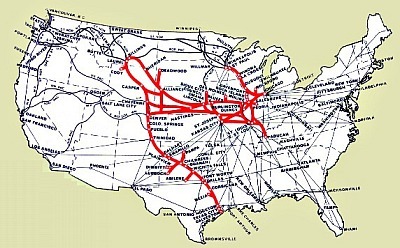 Discuss any question, modeling topics, old stories or other items of interest about these railroads and their history. This mailing list is NOT for official BRHS discussion or events, although announcements of BRHS events and meets may be made on the list. Please note: Commercial posts are now allowed on any day and must include the words "Commercial Post" somewhere in the subject line. Both mailing lists require subscribers to act in a responsible manner, not use profanity, make personal attacks, harass or threaten other members. Those who act in such a manner will be removed immediately from the list(s). As well, chain letters or warnings about virus attacks and so on are not allowed on the lists. The on-line membership renewal form is now located in the Members Only area of the website. See the navigation bar to the right and above for the link to the Members Only space. To renew, you may use your credit card, debit card or PayPal, or via snail mail with a check or money order.